I want to animate a plane falling onto the ground. 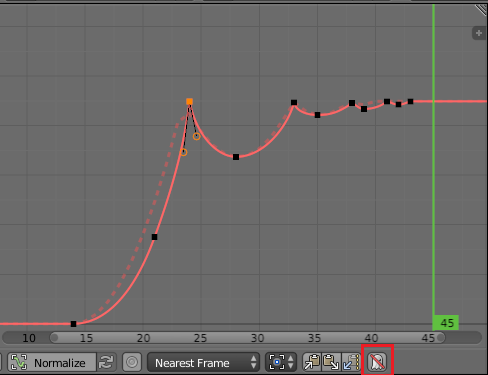 It’s good to have the bounce interpolation however you are quite limited when you want to customize it, for example adding more smaller bounces to the end etc, just like you are able to in After Effects. Is there an addon available to adjust that or is there even a solution within Blender which I just haven’t found? There is no way to customize them. No, you can't adjust the bounce interpolation. However, there are manual ways to progress from your state. 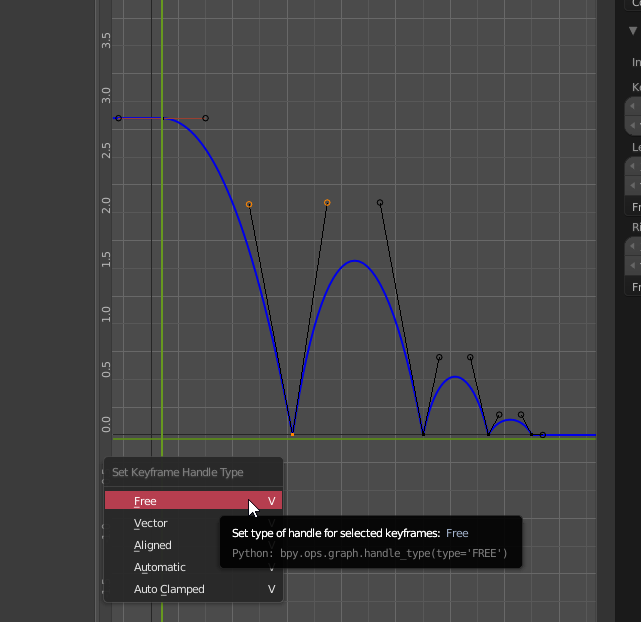 Select the two encasing keyframes and press ShiftO to sample frames between them, reset their interpolation type to Bezier afterwards. You can now manipulate them as you wish. Note, that this is also important as the down position will often not fall on full frames. You can also ghost the curve by pressing the ghost icon and use it as a reference. Not the answer you're looking for? Browse other questions tagged animation customization graph-editor interpolation or ask your own question. How can I animate a camera together with my actions - without fuzzing it all up? Can linked objects with physics constraints interact with other objects?